British performance automotive manufacturer McLaren has just arrived on this side of the Atlantic with their new MP4-12C. And the good folks from across the pond have been so kind as to document the arrival of the company’s latest supercar in a short promotional video. The McLaren MP4-12C — successor to the former world’s faster car record holder McLaren F1 – arrived at the Port of Baltimore late in the evening. With caravan in tow, the large host embarked on a journey that led them to McLaren’s dealerships spread across the country. 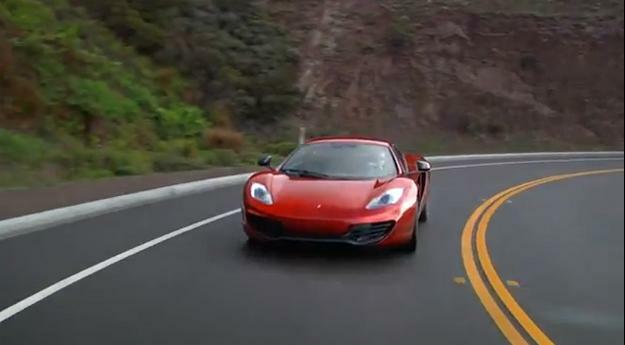 For those that may not be familiar with the McLaren MP4-12C, the British sports car features a bespoke mid-mounted M838T 3.8-litre V8 twin-turbo engine, a lightweight “Carbon MonoCell” fiber chassis, and sports some pretty nifty F1-inspired technology like advanced break steer and a seven speed Seamless Shift dual clutch gearbox. You might also recall that Hennessey Performance is underway with a modified version of the McLaren MP4-12C, which will boost the specs of the standard model even further. Sadly, that one wasn’t among the horde of McLaren’s zigzagging across the country.